PROJECT PROCESS OUTPUT INSPIRATION DEUTSCH SHOW ALL! The sustainable use and the organisation of common resources is highly complex. 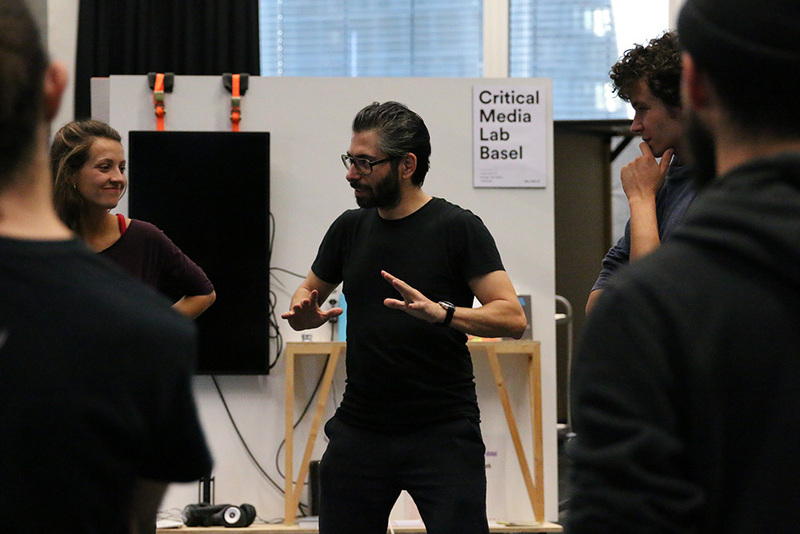 With the focus on alternative, utopia-inspired urban neighbourhood initiatives in Switzerland this research project proposes experimental design and inquiry into media-based thinking tools which will help to better illustrate, demonstrate and negotiate the complexity of these sharing processes. Commons are sustainably and collectively managed resources, such as food, or communication infrastructures, such as Wi-Fi. Commoning, then, is the activity of sharing these resources. The aspiration formulated throughout numerous alternative, utopia-inspired projects that seeks to design infrastructural aspects of urban everyday life in an alternative and autonomous way, through commoning, raises several questions. Since, based on the high level of complexity that (occasionally) comes with the shared use of resources, for the individual community member it is often difficult to estimate his or her own action and consequences to the very last detail. Especially when it comes to unpredictable, complex adaptive processes, he or she can no longer completely grasp them intuitively nor follow them without the help of media-based thinking tools — such as computer-based models or scenarios — which make those processes not only visible but also comprehensible. For this reason, a mobile software application will be developed and tested in close collaboration with the members of three Swiss urban neighborhood projects: NeNa1 in Zurich, LeNa in Basel and Warmbächli in Bern. 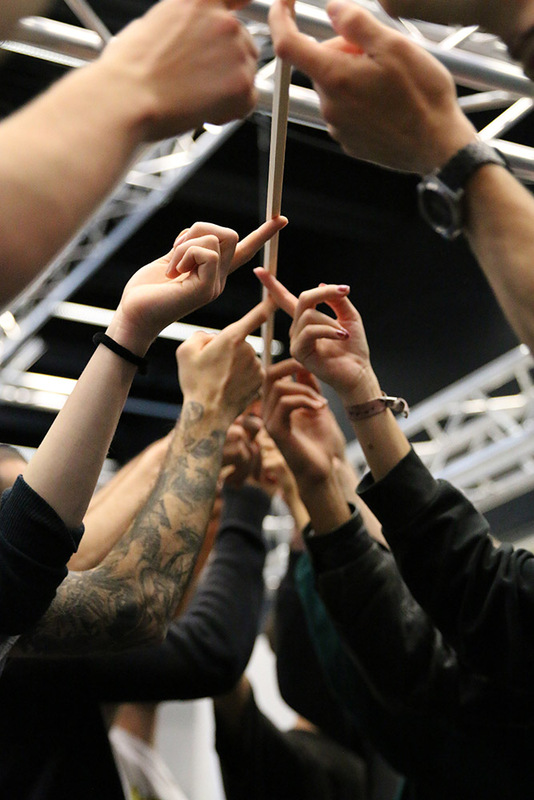 We will create playful simulations and design new thought-spaces for commoning. Our aim is to enable alternative and engaging ways for future social participation and transformation processes. The four-year project, which combines methods from humanities, social science and design inquires the following central question: How could an experimental and community-based approach to design and development of a digital game system stimulate reflection on the intuitively incomprehensible complexity of commoning, make it more understandable and negotiable through playing and gaming? 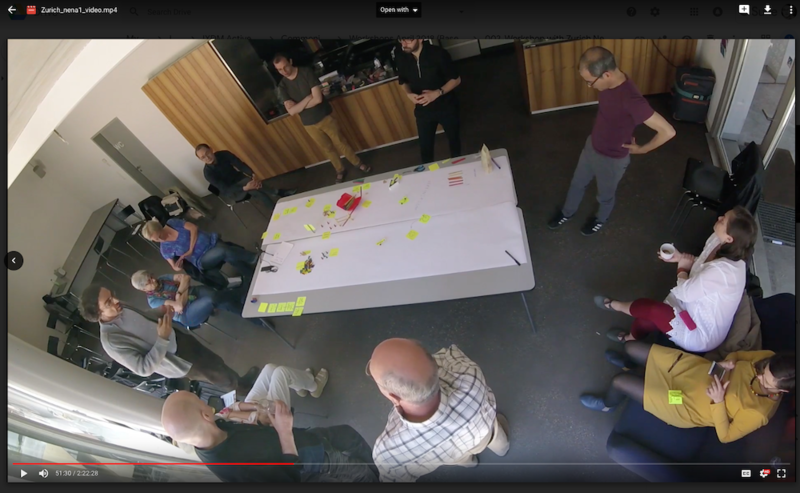 Viktor took part in the workshop which included interviewing (people impersonating) smart objetcs, building scenarios from the objects perspective and working on a manifesto for more desireable paradigms of smartness. for thoughts about extending care to objects, pushing towards a more-than-human centred design and the workshop's relevancy for the Thinking Toys for Commoning project. Designers Sarah Hermanutz and Andreas Rau visited our lab and project for a week. 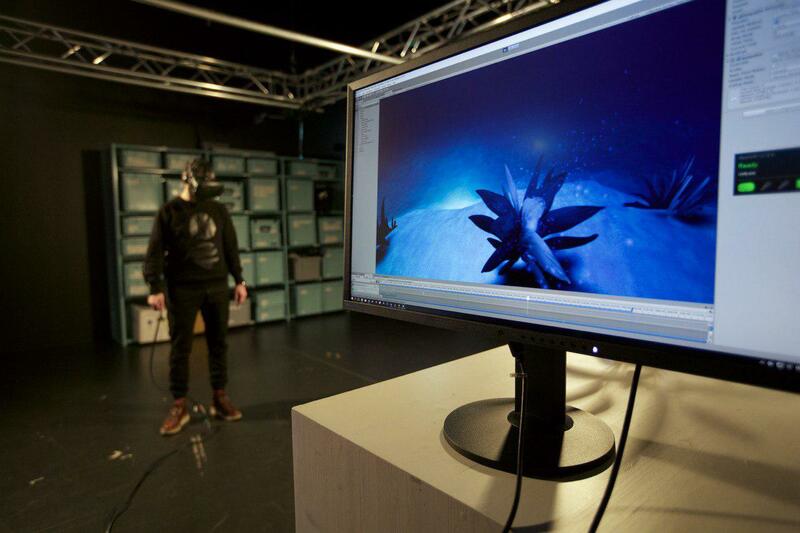 Together with Michaela they were working on a multi-media installation that uses an immersive and responsive environment to create sensitivity for metabolic processes and vegetal life. The resulting installation "Give and Take" creates an experience that leads the observer from micro to macro scales of vital processes. The immersive environment induces a perceptional link with thermal, climatic, meteorological processes that are enacted in partial response to the engaging individual. 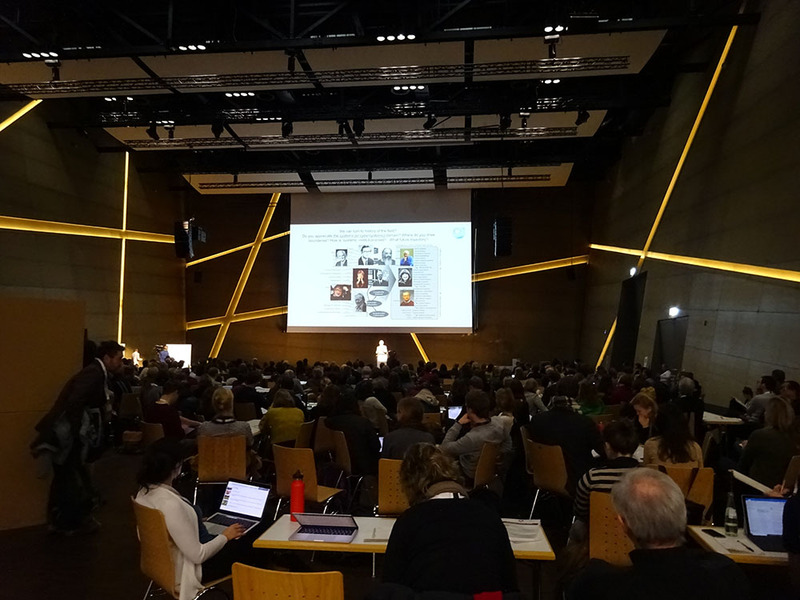 Michaela and Shintaro participated at the conference Leverage Points 2019 in the context of sustainability research, system thinking, resilience, policy making etc. Shintaro talked about “Learning the Complexities of Commoning. Playful Agent-Based Modeling as Thinking-Toys for Urban Commoners” and Michaela about “Unsettling design - Material Encounters and Relational Practices”. 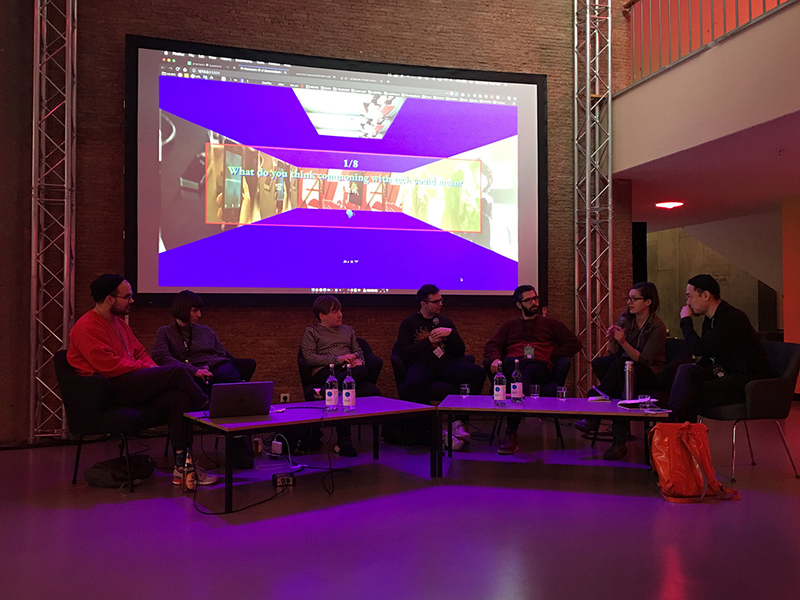 We participated at transmediale 2019 in Berlin with a conversation panel . We are currently preparing a transcript of the audio recording. The conversation addressed the potential entanglement of technologies with alternative forms of living together from different scales and levels. We also tried to discuss the affective and fantastic ingredients of commoning with tech – such as the phantasms of decentralization. With our great team and John Evans and Cade Diehm. With this agent-based model, we study the phenomenon of commoning (sharing common resources in a durable way) in the context of sustainable living initiatives and co-housing projects in Switzerland. We focus on the distribution of working time that members voluntarily contribute to community life. When are they feeling their contribution is fair? Are the others also behaving fairly? How can we make sure urgent tasks are done? What are the tipping points in agents behaviour? What tipping points can we observe on the level of the community? The model is informed by our discussions with three co-housing initiatives (Warmbächli, LeNa and NeNa1), conducted in April 2018. We identified an interest in establishing and tracking fair division of work among the members, while at the same time not wanting to be too intrusive on member’s privacy and individual contribution. Some questions we retained are “how much would it cost to not clean the kitchen when it is your turn to do it?” (NeNa1) and “How to measure how much volunteering time each member needs to contribute to the community?” (LeNa). Ämtli manager is one complex model that addresses these questions. It is a system that identifies tasks that need to be done urgently (looking at how much time has passed since the task was done) and finds community members that could take up a task and acquire right to rest and relax. They, in return, can accept or refuse to take up the task - a decision based on both the amount of resting time the community member has acquired and the interest they have in doing that particular task. Agents have different personalities which determine their strategy for accepting or refusing tasks: they can be “curious” or “perfectionist”, “geniessers” or “capitalists”. Four tasks that describe common life appear in the model: ‘food depot management’ (‘‘Lebensmitteldepot’), ‘common kitchen maintenance’ (‘Großküchendienst’), ‘social work’ (‘Soziales’) and ‘facilities duty’ (‘Raumpflege’). 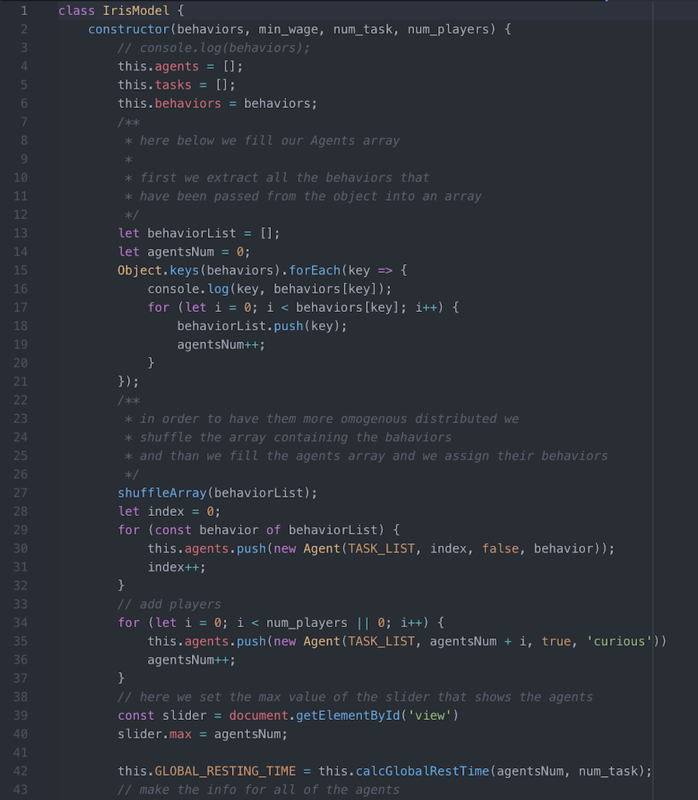 A complex system of exchange of free time for work, combined with agents’ personalities, incentivises agents to pick up tasks and have the household running properly. Fairness is measured in function of stress and forcing the agents are feeling. If all agents refuse to take up a task, one will be forced and will therefore start feeling stressed. When that agent uses some of their resting time, the stress will decrease. If they do not have any, stress level will grow. Depending largely on the composition of the community in terms of agents personality, brute forcing will occur more or less often, affecting stress level of the community and signaling its dysfunctionalities (when agents need to be forced, we can assume common facilities are taken care of to a bare minimum). 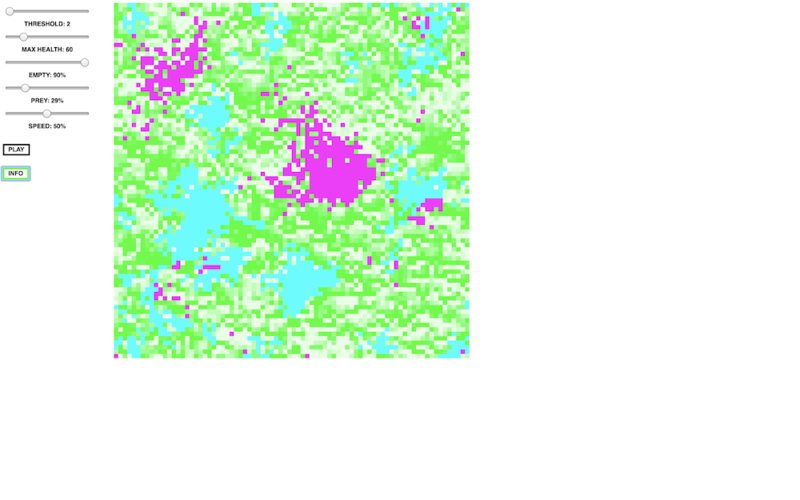 The model outputs data that consist of time-based readings of states of agents' parameters. We experimented with different modes of visualisation of this model, looking at it historically, so that we can identify emergent behaviours and tipping points. We also looked at the data from the points of view of community members, tasks that need to be done and the whole environment (micro- and macro-views). 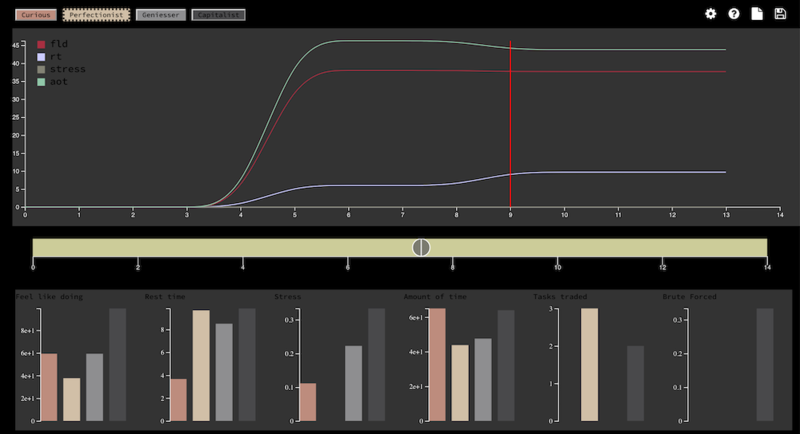 Visualization remains an important aspect of this work. We can present some preliminary insights and findings already. For example, when all four types of community members are equally present, it tends to happen that the stress of all agents increases, except for those that we named “capitalists” - their stress stays at a reasonably low level and they are rarely “brute forced”. Contrarily, in a society made only of “geniessers”, stress stays at a typically low level. We can interpret this as a sort of recommendation for the behaviour in the community (be all geniessers) or community composition, although this would be rather far-fetched. We expect to observe more such patterns and tipping points when running the model in the future. We invited a team of computer science students from EPFL to create a visual interface for the Ämtli-Manager. They came up with some interesting propositions and produced an experimental 4-window interface for observation of agents behaviour. 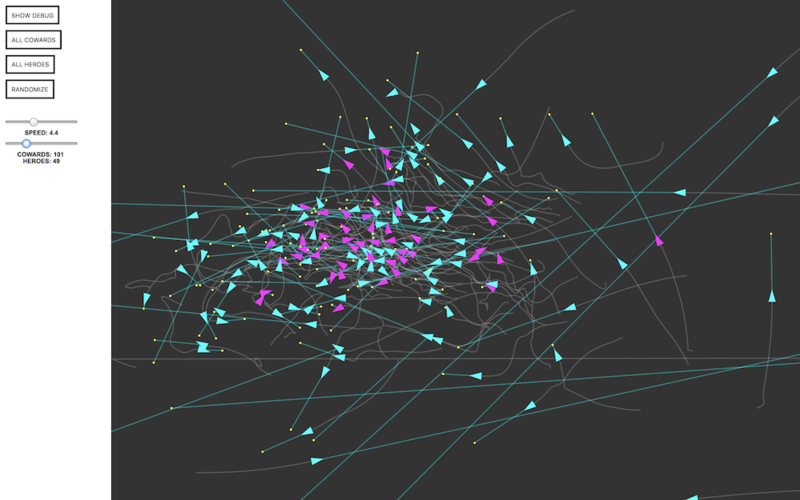 The project was realized within the master course on Data Visualization. We would like to thank the course teacher, Kirell Benzi for his support in getting the students interested to work with us. 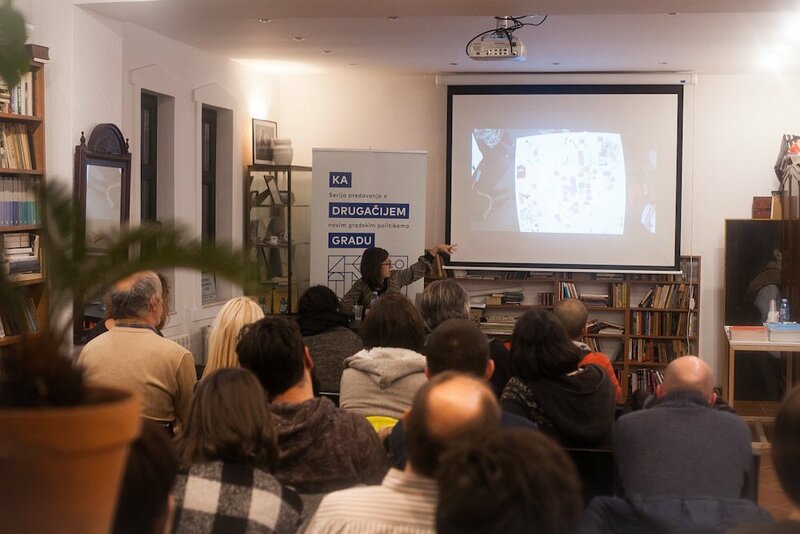 Selena gave a lecture within the series “Towards a Different City” (Ka drugacijem gradu) organized by Ministarstvo Prostora at CZKD, Belgrade. She talked about “Articulations of common through technology and design”, discussing, among other things the role of the ABM and games in Toys for Commoning project. We continued our collaboration with the co-operatives and conducted two workshops, where we tested the first version of our Ämtli-Manager (working title) and collected feedback concerning the topic of working time organization. 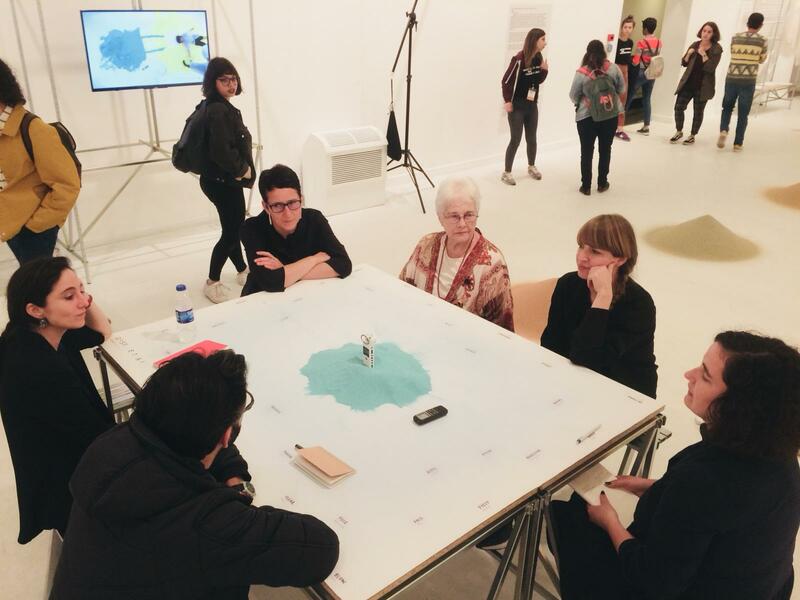 In this first micro-residency designers Sarah Hermanutz and Andreas Rau joint forces with researchers Desiree Förster and Michaela Büsse to inquire ways to create an immersive experience of a complex system, in particular climate change. 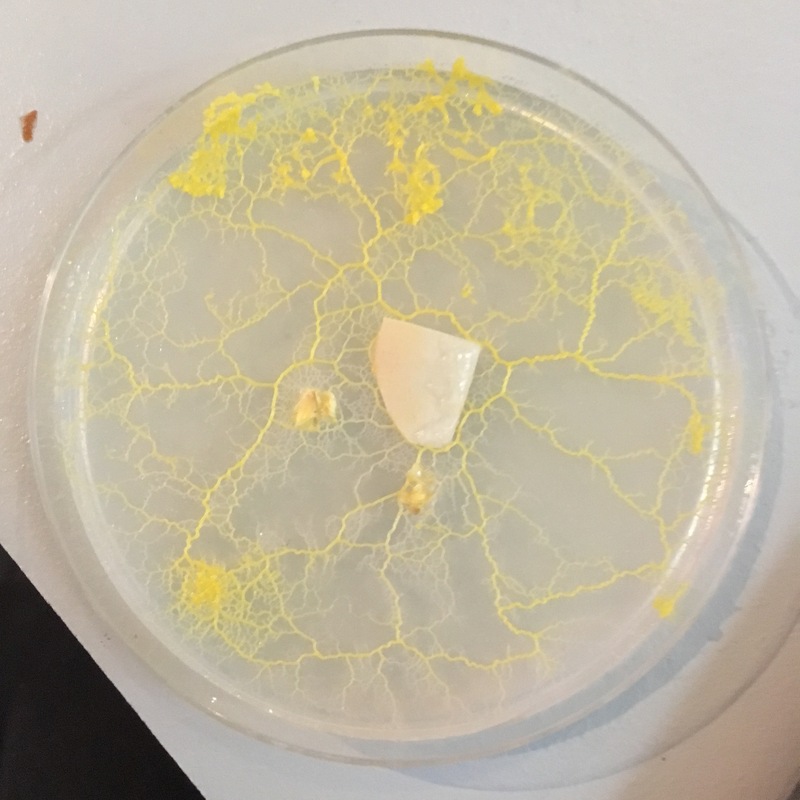 Desiree’s doctoral research on atmospheric media and Andreas Rau’s and Sarah Hermanutz’s interest in virtual reality temporarily complement our team’s skill set to explore how one can relate to different levels of magnitude and entanglement. 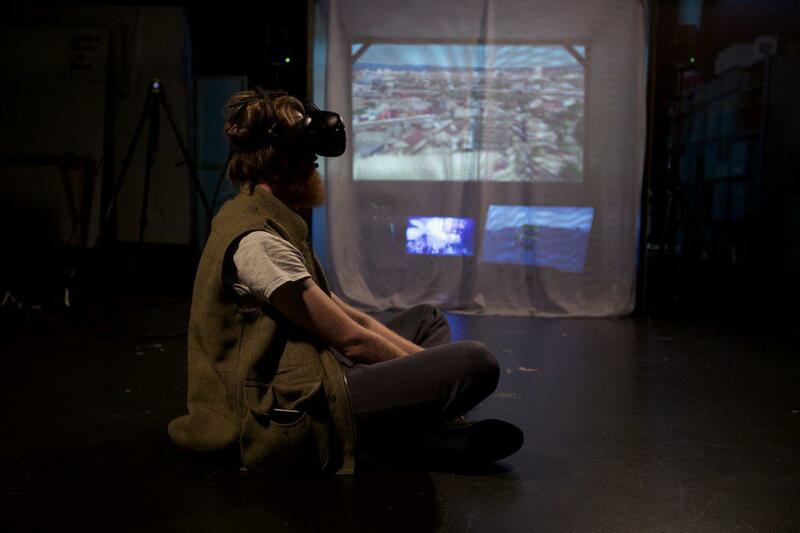 The residency will continue in February 2019 and lead on an interactive installation to be exhibited at the Critical Media Lab. Shintaro gave a talk at the conference “Scaffolds – Open Encounters with Art, Architecture and Society” with the title “Co-Designing Thinking-Media with Commonists. The Criticality of Conflict, Play and Irony”. 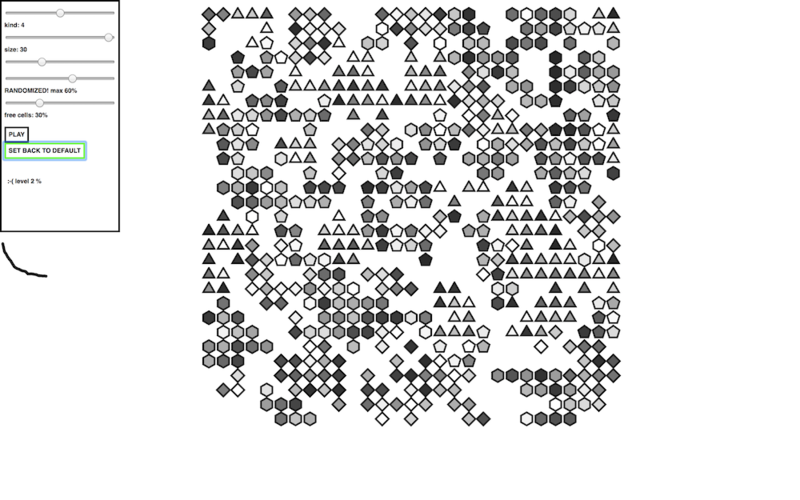 Emergent gameplay is a central principle of game design. In the game design workshop “Organize Yourselves Or You Will Be Organized” we experimented with creating simple rules that generate more complex emergent patterns of self-organization and creating feedback loops within the game. The workshop was conducted by Viktor and Shintaro with students of Hyperwerk. 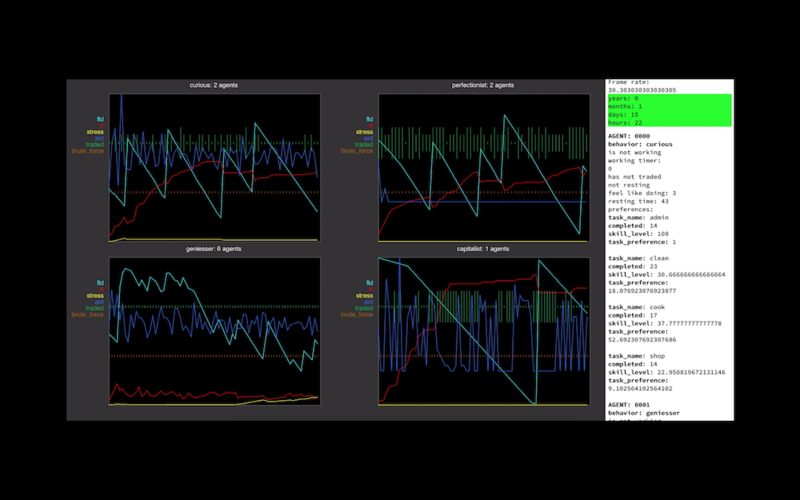 'Iris & Black Box' is a playful setup based on the agent-based model 'Ämtli Manager' that allows humans to become one agent among many computer agents. The prototype setup consisting of a modified version of the Ämtli Manager ABM and a physical game console for the human player was first tested at IGLab in Bristol. At this podium event under the heading of "Commoning", several current projects from Basel that deal with collaborative working, living, and thinking were presented. With Christian Mueller (Zukunft.Klybeck) Roger Portmann (LeNa) Laura Pregger (Hyperwerk). Die gemeinschaftlich-nachhaltige Nutzung und Organisation von Ressourcen ist komplex. Mit einem Fokus auf alternativ-utopisch inspirierte Stadt-Nachbarschaften in der Schweiz schlägt das Forschungsprojekt eine exemplarische Untersuchung und gestalterisch-explorative Entwicklung medialer Denkwerkzeuge vor, mit deren Hilfe die Komplexität solcher Prozesse besser veranschaulicht werden können. Gemeinschaftlich-nachhaltig genutzte Ressourcen, wie etwa Lebensmittel oder kommunikative Infrastrukturen wie Wifi, werden Commons genannt. Commoning meint die Aktivität des gemeinsamen Teilens dieser Ressourcen. Der durch zahlreiche alternativ-utopisch inspirierte Projekte formulierter Anspruch, infrastrukturelle Aspekte des urbanen Alltagslebens durch Commoning selbstverantwortlich und alternativ zu gestalten, wirft einige Fragen auf. Denn aufgrund der hohen Komplexität, die mit der gemeinschaftlichen Nutzung von Ressourcen bisweilen einhergeht, kann das einzelne Gemeinschaftsmitglied sein Commoning und dessen Konsequenzen oft nicht bis ins letzte Detail und in all seinen Konsequenzen durchdenken. Besonders wenn es um ein verstehendes Erfahren unvorhersehbarer, komplex-adaptiver Vorgänge geht, kann er oder sie deren Ablauf, so unsere These, rein intuitiv und ohne die Hilfe veranschaulichender medialer Denkwerkzeuge, wie computerbasierte Modelle oder Szenarien, nicht mehr vollständig erfassen. Aus diesem Grund wird im engen Austausch mit den Mitgliedern der schweizerischen Stadt-Nachbarschaftsprojekte NeNa1 in Zürich, LeNa in Basel und Warmbächli in Bern eine mobile, digitale Software-Anwendung entwickelt und erprobt. Dabei geht es um die spielerische Anregung und Erschließung neuer Denk- und Handlungsräume im Bereich des Commonings. Denn, auf diese Weise – so unser Ziel – könnten sich neue Wege für zukünftige gesellschaftliche Teilhabe- und Transformationsprozesse eröffnen. Das vierjährige Projekt, in dem sowohl geistes- und sozialwissenschaftliche als auch gestalterische Methoden kombiniert werden, verfolgt zentral folgende Leitfrage: Wie lässt sich durch das gemeinschaftlich-experimentelle Gestalten und Entwickeln eines digitalen Spielsystems das Nachdenken über die intuitiv oft nicht nachvollziehbare Komplexität des Commoning anregen und Komplexität so spielerisch versteh- und besser verhandelbar machen? Dieses Forschungsprojekt wird vom “Schweizerischen Nationalfonds zur Förderung der Wissenschaftlichen Forschung” (SNF Nr. 175913, von 01/2018 bis 12/2021) unterstützt. 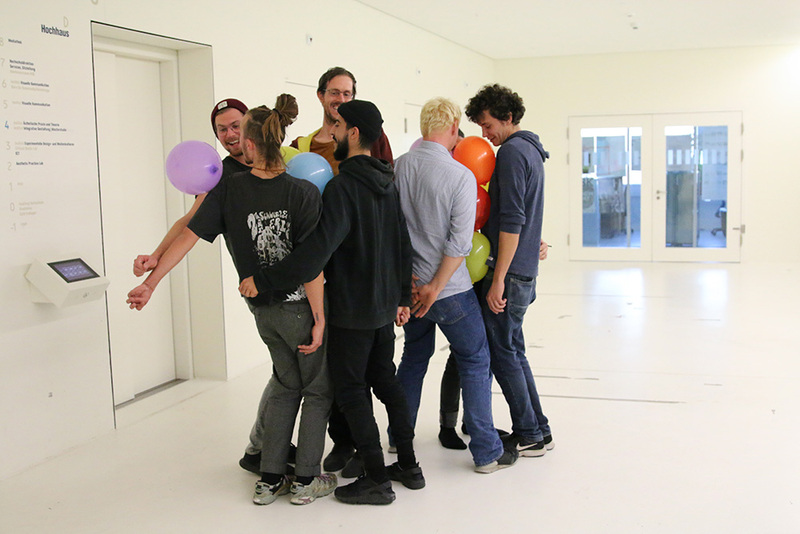 Durchgeführt wird es am Institut für Experimentelle Design- und Medienkulturen und im Critical Media Lab an der Hochschule für Gestaltung und Kunst FHNW in Basel. Hauptprojektpartner sind Lena, Warmbächli und NeNa1. Viktor ist ein Senior Reseacher im Team, Gründer des “The Street Game Lab Tacit Dimension” und freischaffender Innovationsberater. Er promovierte an der Humboldt Universität Berlin und an der Universität Pécs (2011) in Philosophie. Lena studiert Visual Communication and Iconic Research (MA) an der HGK FHNW. Sie hat einen BA in Medienwissenschaften/Philosophie (Universität Basel). In unserem Team hilft sie bei der Gestaltung und in anderen Bereichen. Michaela ist Kuratorin, Redakteurin und Doktorandin in unserem Team und zugleich an European Centre for Art, Design and Media based Research (ECAM) der HGK FHNW. Yann arbeitet als Kreativ-Programmierer in unserem Team. Er erwarb seinen Master in Visual Communication and Iconic Theory an der Hochschule für Gestaltung und Kunst FHNW. Shintaro ist Medienwissenschaftler und experimenteller Gestalter. Er ist Gesuchsteller und der Projektleiter. Promotion in Medientheorie an der Humboldt Universität zu Berlin (2012). Selena ist Designforscherin und ist als Postdoc im Team. Sie hat ihr Doktorat am EPFL (Lausanne) und am Instituto Superior Técnico (Lissabon) abgeschlossen. Unser Team nahm an der Transmediale 2018 (mit dem Thema “Face Value”) teil und führte am Sonntag 4. 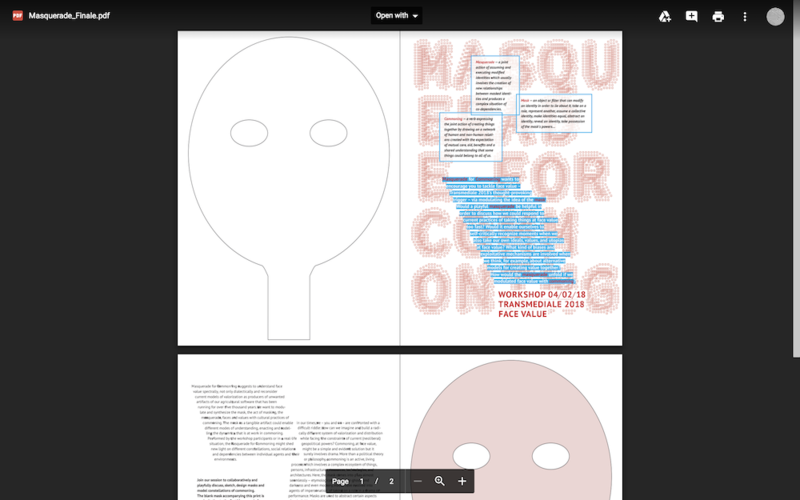 Februar, den Workshop "Masquerade for Commoning" durch. Da unser Projekt zu diesem Zeitpunkt erst in den Startlöchern stand, nutzten wir den Anlass für eine teamfördernde Zusammenarbeit mit unseren Gästen Felix Gerloff aus dem Critical Media Lab und Kevin Rittberger, der schon im Jahre 2015 in das Projekt "Syntegrity" involviert war. Wir führten erste Workshops mit unseren Projektpartnern Lena (Basel), Warmbächli (Bern) und NeNa1 (Zürich) durch und erprobten das artefaktbasierte Diskussion von Problemen. Viktor entwickelte eine passende Workshop-Methode, die sich als durchaus produktiv herausstellte. Nach den intensiven “Kennenlern-Workshops” mit den drei Projektpartnern waren wir ziemlich erschöpft, erholten uns aber schnell und setzten uns an die Nachbesprechung und dem Entwickeln erster Ideen für weitere Schritte (ein erstes agentenbasiertes Modell, ein fragmentiertes Spiel-Szenario und mehr Ideen für weiterführende Workshops). Am ersten Tag des zweitägigen Workshops konnten die Teilnehmer ihre Perspektive bezüglich der vorhin gestellten Frage erklären, dies unter Einbezug und Vorstellung von verwandter Arbeit und Projekten. Am zweiten Tag diskutierten und tauschten wir Ideen, Konzepte, Arbeitstechniken und Herangehensweisen innerhalb des Dreiecks von commoning, modelling und playing aus, begleitet von spielerischer Konversation und der Entwicklung von Prototypen. Teilnehmer/Innen: Adam van Heerden, Bruce Edmonds, Gabriele Ferri, Geeske Scholz, Gilly Krajevsky, Ivo Balmer, Jelena Viskovic, Mary Dellenbaugh-Losse, Shusha Niederberger, Panayotis Antoniadis, Paul Chaney, Sebastian Quack, Roger Portmann and Tobias Willimann. After the intensive "First Contact" workshops with the three co-operatives we were quite exhausted, but recovered soon with a debriefing, developing first ideas for next steps (first agend based model, a fragmented play/game scenario, more ideas for catch-up workshops). We conducted first workshops with our project partners, Lena (Basel), Warmbächli (Bern) and NeNa1 (Zurich) and started exploring artefact based problem addressing. Viktor designed a adequate workshop method, which proved to be quite productive. In order to open up our thinking space and connect with possible academic peers, we organised a kick-off meeting around "commoning", "gaming" and "modelling". Our central question for the discussions was: How could playful setups enable grasping, negotiating and thinking critically about the complexities of commoning in urban neighborhoods? On day one of the two-day workshop, participants shortly presented their perspective on the above question by introducing some of their related work or projects. On the second day we discussed and exchanged ideas, concepts, tool-sets, and approaches within the triangle of commoning, modeling and playing by a playful conversation and prototyping format. Participants: Adam van Heerden, Bruce Edmonds, Gabriele Ferri, Geeske Scholz, Gilly Krajevsky, Ivo Balmer, Jelena Viskovic, Mary Dellenbaugh-Losse, Shusha Niederberger, Panayotis Antoniadis, Paul Chaney, Sebastian Quack, Roger Portmann and Tobias Willimann. Viktor is a senior researcher in the team, founder of the street game lab Tacit Dimension and freelance innovation consultant. He obtained a PhD in philosophy at Humboldt University Berlin and University Pécs (2011). Lena studies Visual Communication and Iconic Research (MA). She has a BA in Media Studies/ Philosophy (University of Basel), is our in-team co-designer and is helping in other matters too. Michaela is a curator, editor and a junior researcher in our team as well as a PhD candidate at the European Centre for Art, Design and Media based Research (ECAM) in Basel. Yann works as a creative coder in the team. He graduated in Visual Communication and Iconic Theory (MA) from the Basel School of Design. Shintaro is a media scholar and experimental designer. He is the principal investigator and project leader. He obtained a PhD in media theory at Humboldt-Universität zu Berlin (2012). Selena is a designer researcher, scholar and a post-doctoral researcher in the team. She obtained a joint PhD by EPFL (Lausanne) and Instituto Superior Técnico (Lisbon). This research project is funded by the Swiss National Science Fundation (SNSF No. 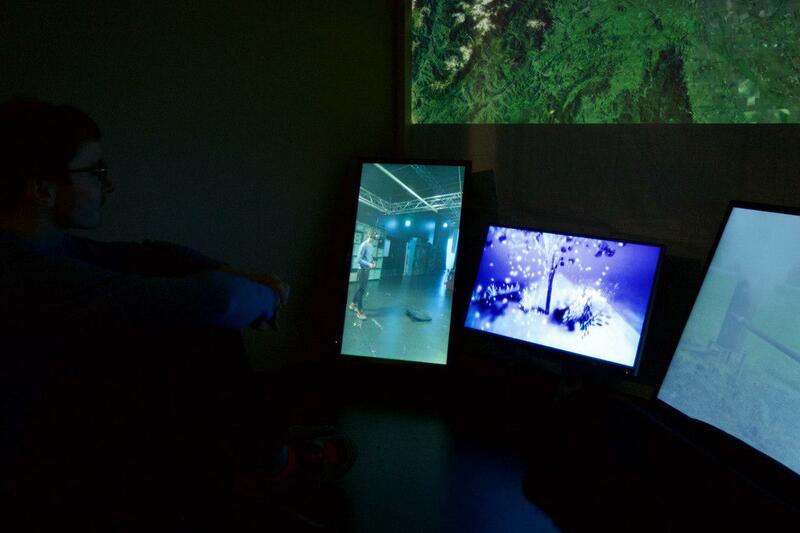 175913, runtime 01/2018 – 12/2021) and is hosted by the Institute of Experimental Design and Media Cultures and the Critical Media Lab Basel at FHNW Academy of Art and Design in Basel, Switzerland. Key projects partners are Lena, Warmbächli and NeNa1. 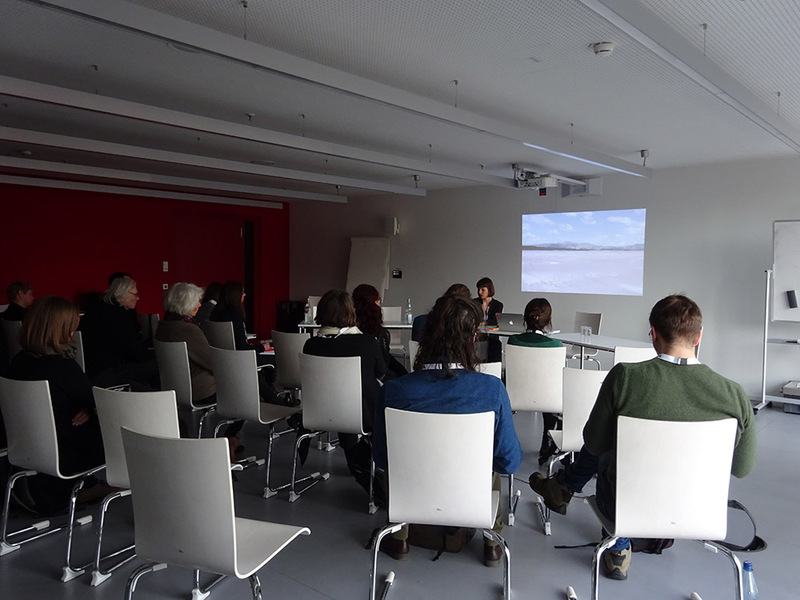 Our team took part at transmediale 2018 face value with the workshop "Masquerade for Commoning" which we held on Sunday 4th of Feb. Since we then just started, we used this lovely occasion as a team building effort with guest colleague Felix Gerloff from the lab and external guest Kevin Rittberger. Kevin was involved earlier in 2015 with "Syntegrity". Here a more detailed announcement of the workshop: Masquerade for Commoning wants to encourage you to tackle face value – Transmediale 2018’s thought-provoking trigger – via modulating the idea of the mask. Would a playful masquerade be helpful in order to discuss how we could respond to current practices of taking things at face value too fast and at the same time enable us to self-critically recognize moments when we also take our own ideals, values, and utopias at face value? What kind of biases and exploitative mechanisms are involved when we think, for example, about alternative models for creating value together? How would the masquerade unfold if we modulated face value with commoning? Commoning => a verb expressing the joint action of creating things together by drawing on a network of human and non-human relations created with the expectation of mutual care, aid, benefits and a shared understanding that some things could belong to all of us. Masquerade => a joint action of assuming and executing modified identities which usually involves the creation of new relationships between masked identities and produces a complex situation of co-dependencies. Masquerade for Commoning suggests to understand face value spectrally, not only dialectically and reconsider current models of valorization as producers of unwanted artifacts of our agricultural software that has been running for over five thousand years. We want to modulate and synthesize the mask, the act of masking, the masquerade, faces and values with cultural practices of commoning. The mask as a tangible artifact could enable different modes of understanding, enacting and modelling the dynamics that is at work in commoning. Performed by the workshop participants or in a real-life situation, the Masquerade for Commoning might shed new light on different constellations, social relations and dependencies between individual agents and their environments. In our times, we – you and us – are confronted with a difficult riddle: How can we imagine and build a radically different system of valorization and distribution while facing the constraints of current (neoliberal) geopolitical powers? Commoning, at face value, might be a simple and evident solution but it surely involves drama. More than a political theory or philosophy, commoning is an active, living process which involves a complex ecosystem of things, persons, infrastructures, resources, technologies, and architectures. Here, the mask comes into play almost seamlessly — etymologically related to ghosts and darkness and even mockery, masks have evolved into agents of impersonation, of taking on a role in a drama or performance. Masks are used to abstract certain aspects of an individual but also to conjure more-than-human superpowers. Masks are old artifacts humans used since immemorial times in rituals and on special occasions. A flat mask, moreover, as provided here, has a back and a front side. Thus it embodies the principle of binaries. Would that be a pathway to digitality? Join our session to collaboratively and playfully discuss, sketch, design masks and model constellations of commoning. The blank mask accompanying this print (PDF output) is our invitation to the first Masquerade for Commoning at the last day of Transmediale 2018 (Feb 4th (Sunday), 14:00–17:00, K2, HKW). Printed matter. transmediale 2018 ( PDF).